Manage your portfolio of work with a calendar based view across teams and projects. 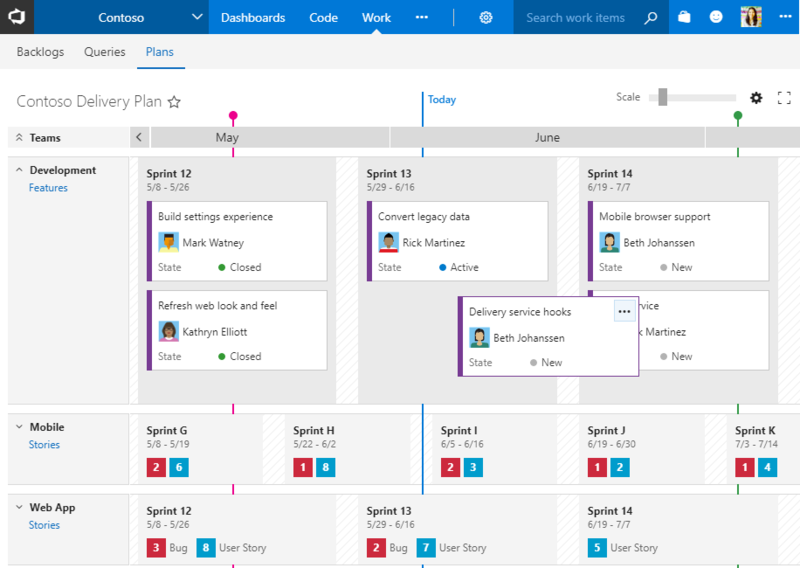 Delivery Plans is an organizational tool that helps users drive cross-team visibility and alignment by tracking work status on an iteration-based calendar. Users can tailor their plan to include any team or backlog level from across projects in the account. Furthermore, Field Criteria on Plans allows users to further customize their view, while Markers highlight important dates. Iteration paths define the cadence of delivery for a team. 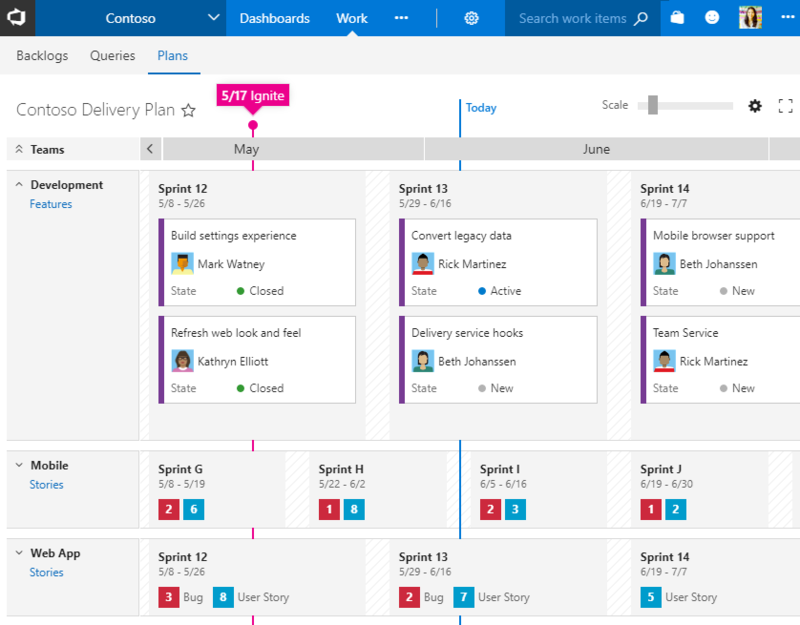 A delivery plan overlays each teams' sprint deliverables onto a familiar calendar view. If you need to make adjustments, simply move the work to a different iteration. All teams gain a greater understanding of how their deliverables fit within the organization's goals. Plans support quick expand and collapse of each team’s row. With all teams collapsed, you gain a summary view of all scheduled work. Summary views support identifying gaps in the forecast. 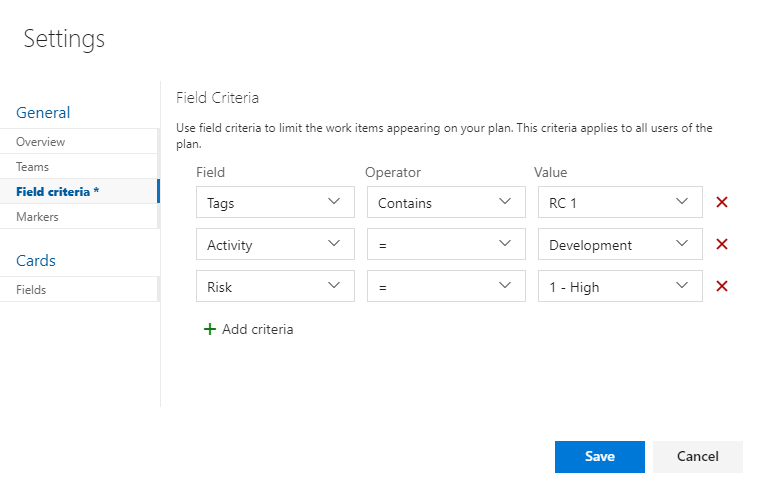 Use field criteria to further tailor your plan by specifying conditions such as "Tags contains" or "Risk = High". 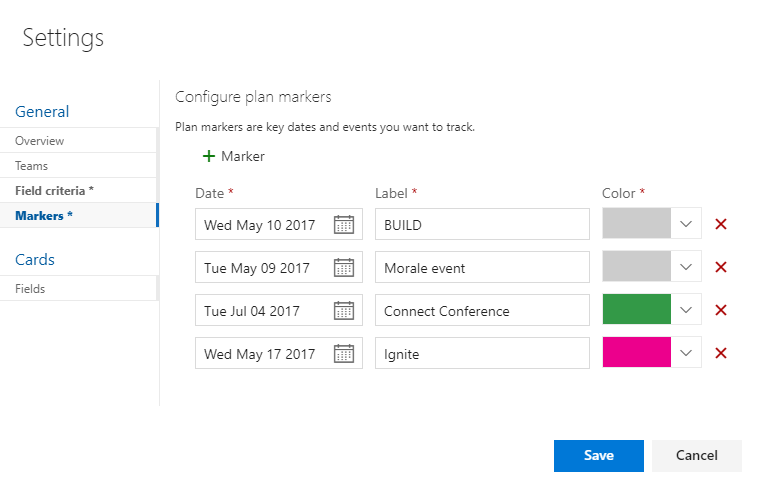 Add markers to highlight key dates on your plan such as important events and ship dates. Markers are configured per plan and have an associated date, label, and color. We're always happy to hear feedback. Please reach out to us on UserVoice, or ask question below.